USED TO CUT OLD CONCRETE, BRICK, CONCRETE BLOCK. BEST SUITED FOR OLD CONCRETE WHICH HAS AGGREGATE. ALSO FOR CONCRETE BLOCKS AND SHAPES, COMMON BRICK. AVOID SOFT CONDITIONS: LIGHTWEIGHT BLOCK, GREEN CONCRETE, AND ASPHALT. AVOID EXTREMELY HARD CONDITIONS: PAVING BRICK, CURED CONCRETE WITH HEAVY REINFORCEMENT. FOR MAXIMUM PERFORMANCE CUT NO DEEPER THAN 1.5" TO 2" PER PASS. 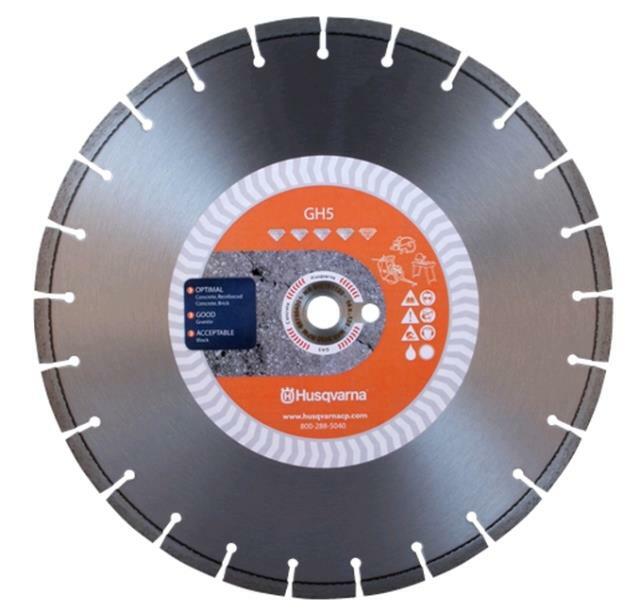 ** Please call us for any questions on our 14 inch h/h diamond blade rentals in Fairview Heights IL.